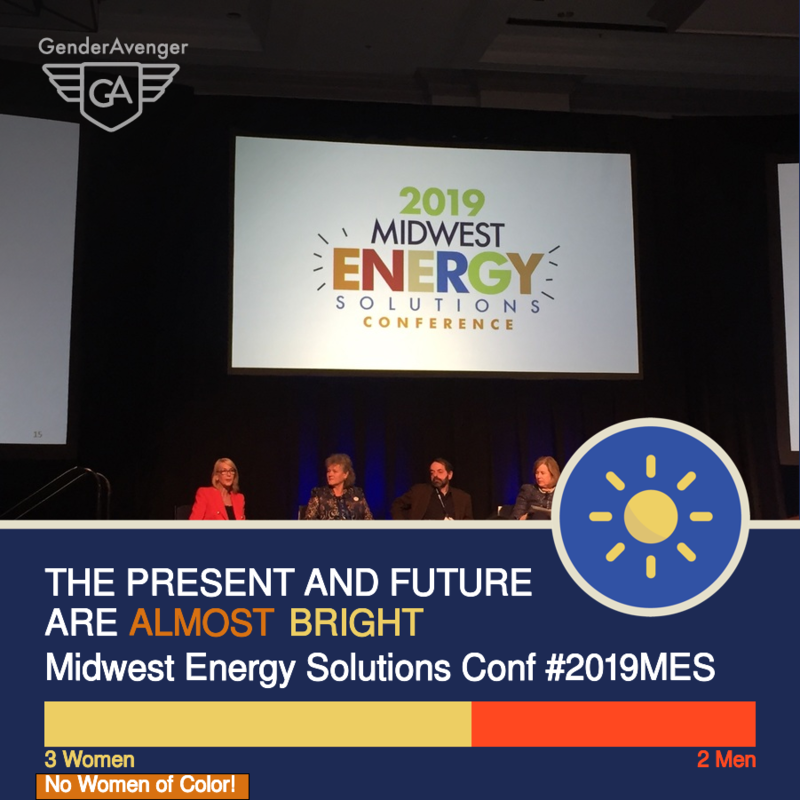 When we received two tallies from the Midwest Energy Solutions Conference, one good and the other not so good, we decided to take a deeper look. This conference “celebrating accomplishments in energy efficiency, as well as laying out the efficiency program and policy landscape for the coming year” is a mix of great and not-so-great when it comes to the gender balance of their speakers. 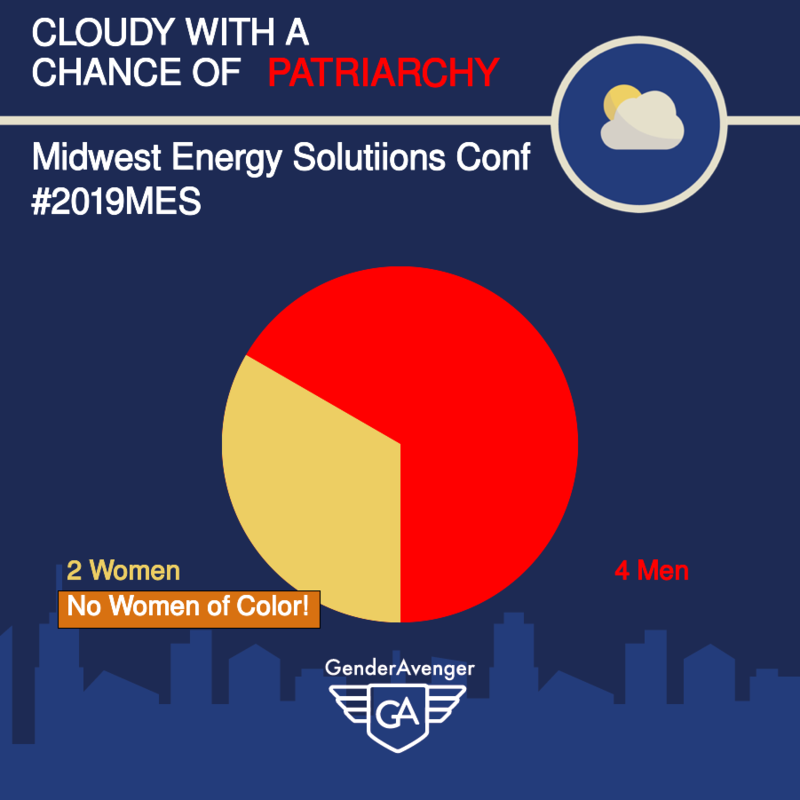 While 8 of the 11 sessions with 3 or more speakers have a more balanced mix of women and men, and the two keynote address are split 50/50, the total speaker breakdown is 62% men and 38% women (6% of whom are women of color), and there are THREE manels. Hopefully, knowing their attendees are paying attention to their speaker list will encourage organizers to add more women, especially women of color, and eliminate manels altogether in 2020.